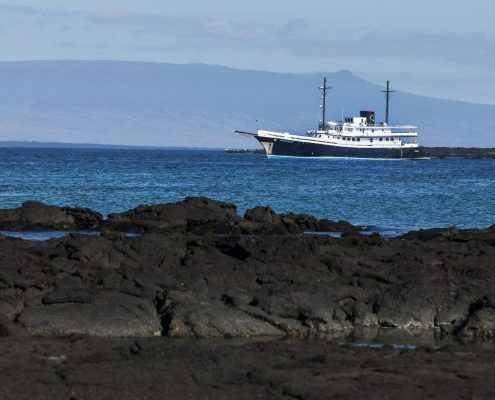 Galapagos Island trips: more than just a holiday, a step back in time to the roots of evolution. 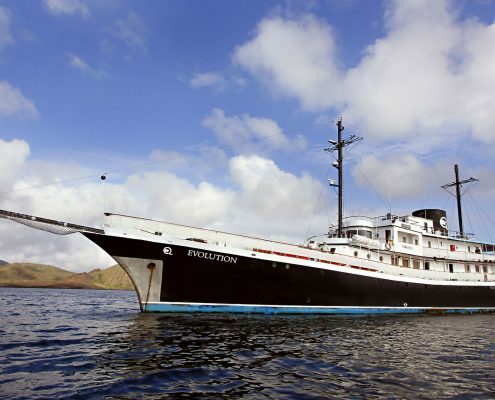 A luxury cruise of the Galapagos aboard an expedition vessel is the best way to visit these islands, an authentic natural paradise where time seems like it has stood still for millennia. 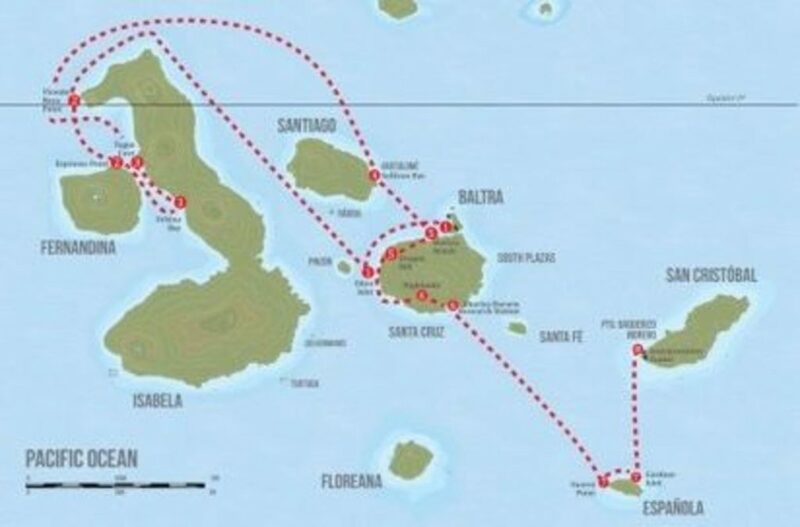 We can take you where few boats can venture – from the remote west coast of the island of Isabela to then nearby island of Fernandina. 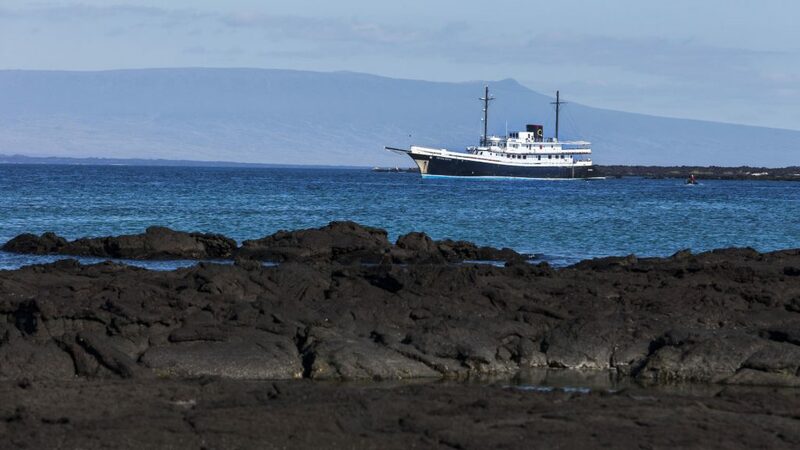 During your Galapagos holiday aboard our vessels, you will swim with sea turtles and penguins, watch blue-footed boobies, frigatebirds and the many other rare seabirds that nest on the islands, scale an active volcano and get an up-close glimpse of whales and the Galapagos’ largest iguanas at Urbina Bay (Isabela Island). 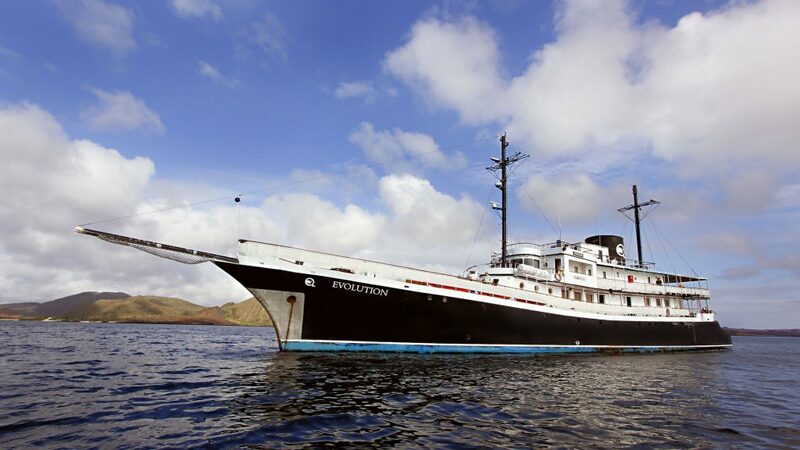 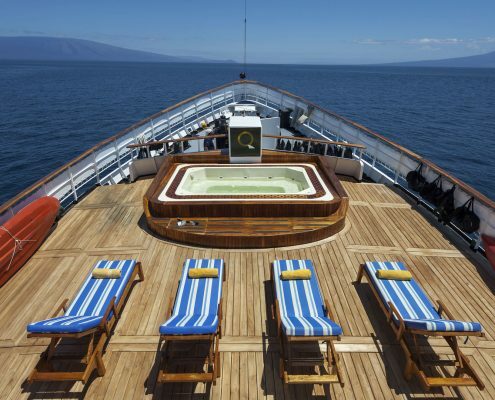 Evolution is one of the most exclusive and elegant ships operating in the Galapagos and boasts every possible comfort in addition to leading-edge onboard equipment. 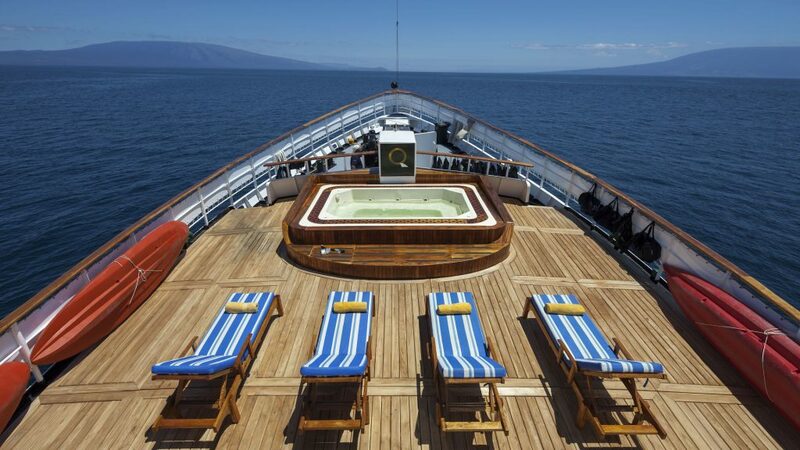 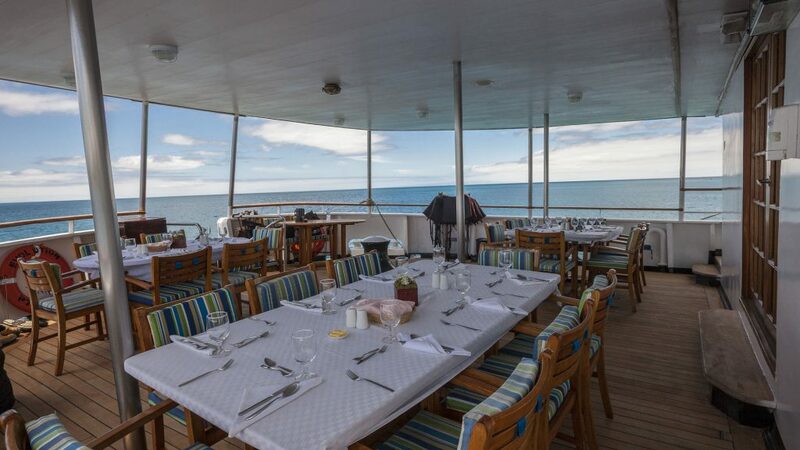 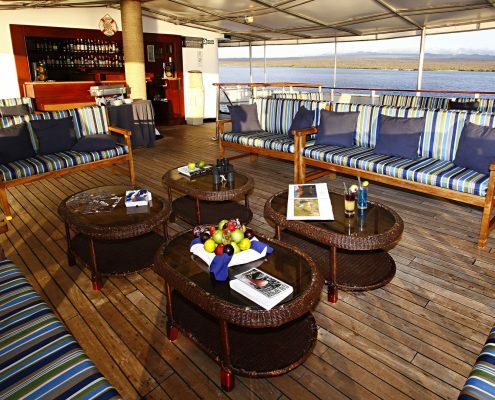 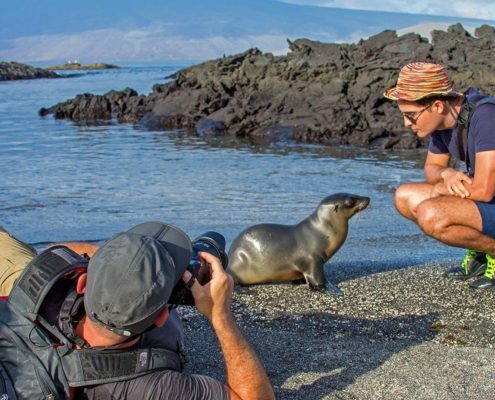 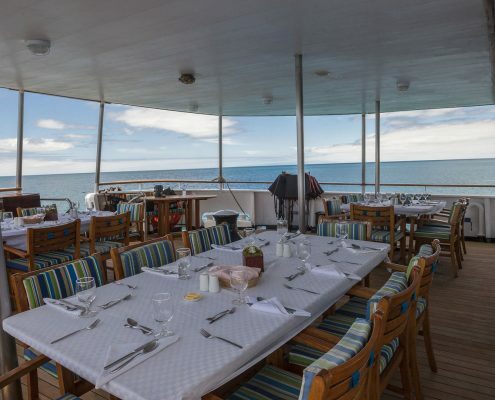 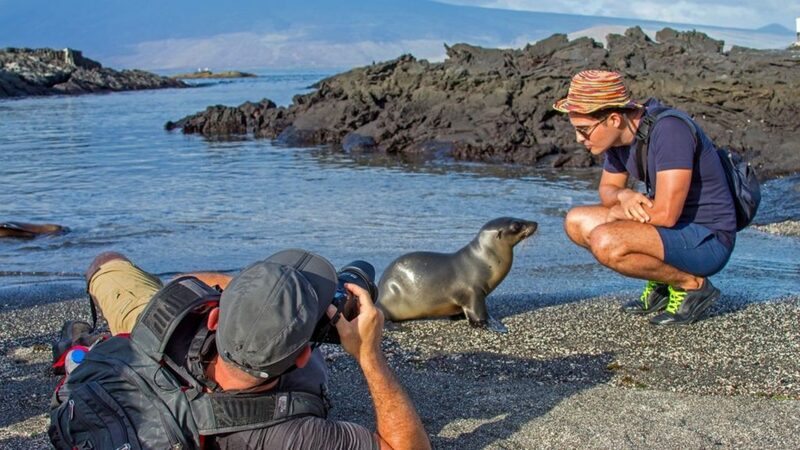 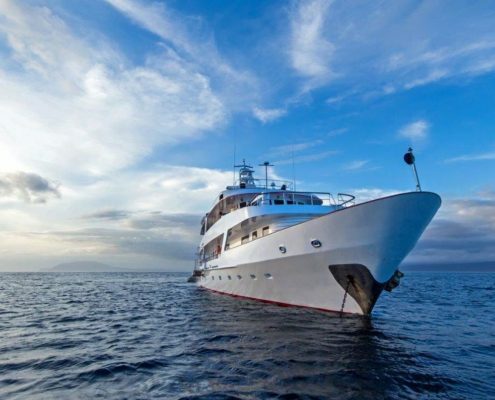 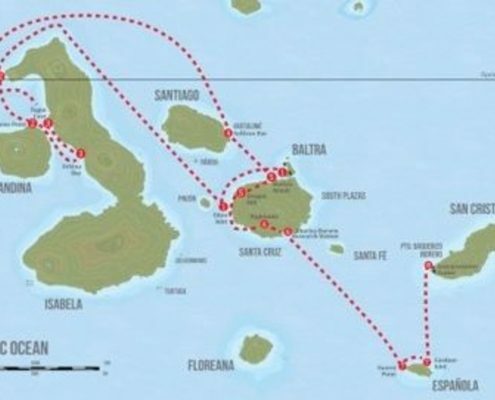 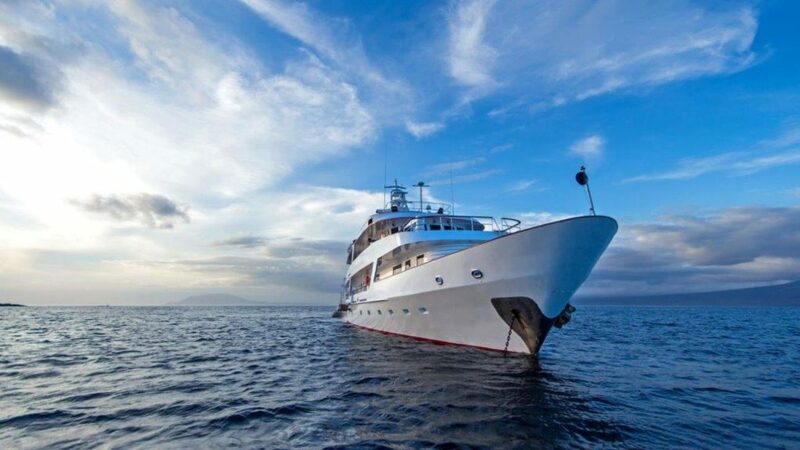 What makes a cruise of the Galapagos aboard this particular ship so special is the opportunity to enjoy unhindered contact with the surrounding sea as well as a wildlife heritage unparalleled anywhere in the world. 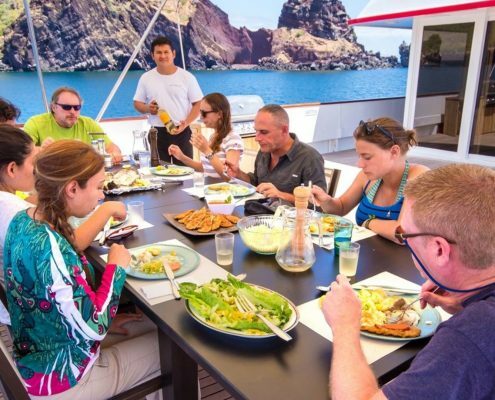 Evolution welcomes a maximum of 32 passengers aboard to ensure their activities and shore excursions are organised to be as enjoyable and rewarding as possible. 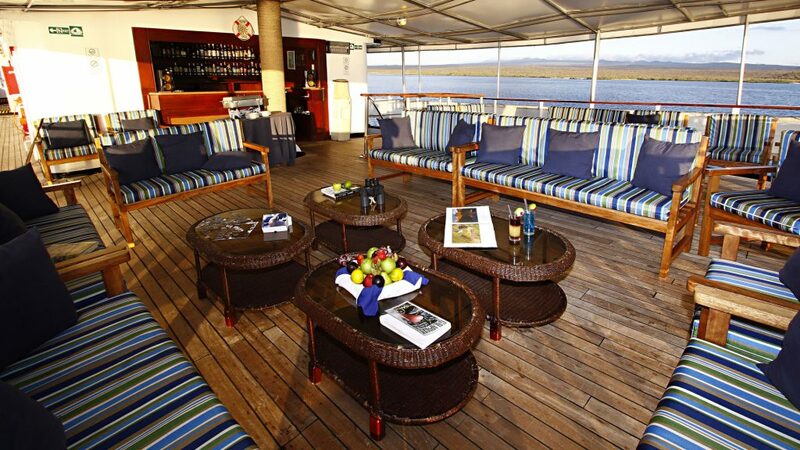 The standard of the onboard dining superb with both local and international cuisine served. 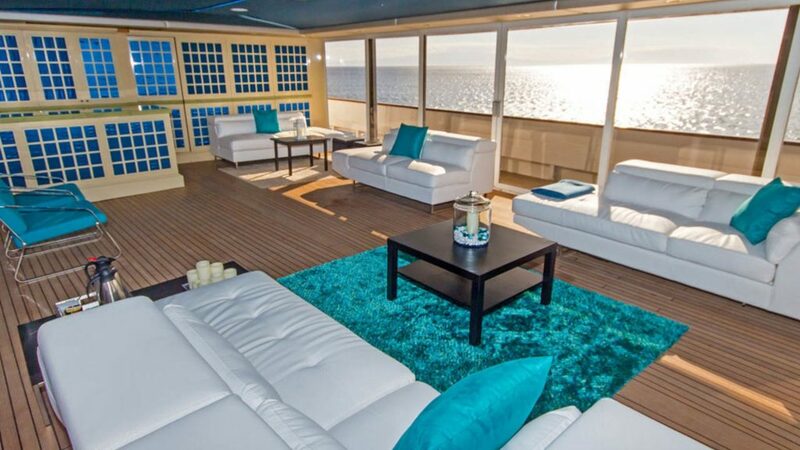 The entire ship – private quarters and communal areas alike – is air-conditioned with plenty of relaxation areas both in the sun and shade. 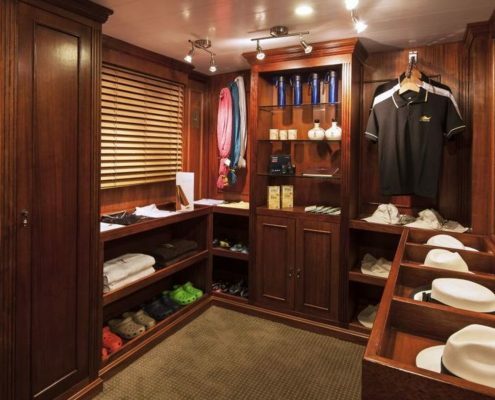 The bar is always open. 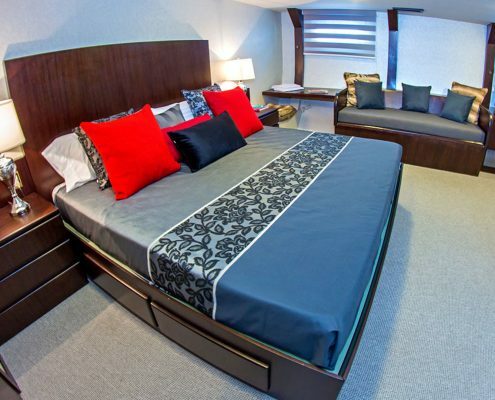 Guests also have kayaks and snorkelling gear at their disposal. 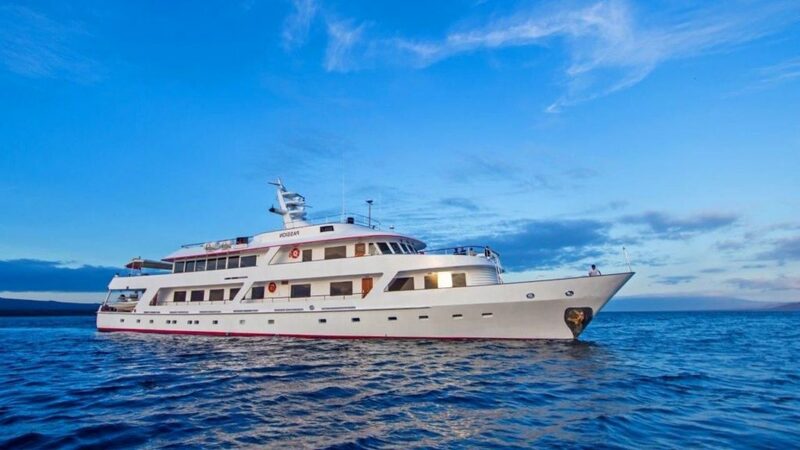 Having started life as a private megayacht, M/Y Passion has been refurbished but still retains many of her original rather unique features including pink marble bathroom trim and teak decks with large sunning areas, lending her a particular charm all of her own. 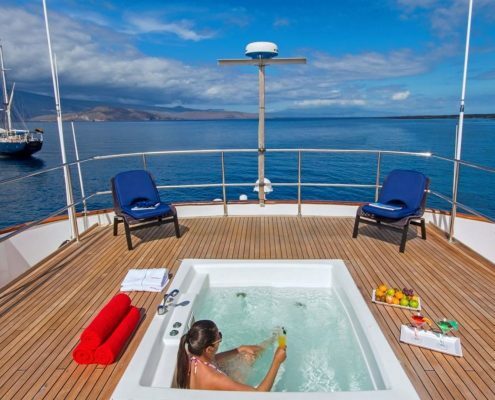 Perfect for families and private charters, Passion stretches 48.5 metres in length and has four decks. 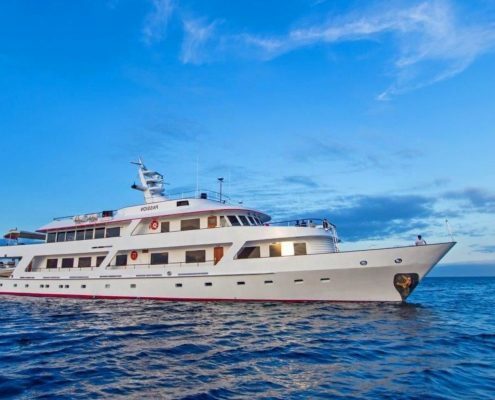 She is extremely spacious and very comfortably accommodates 12 guests. 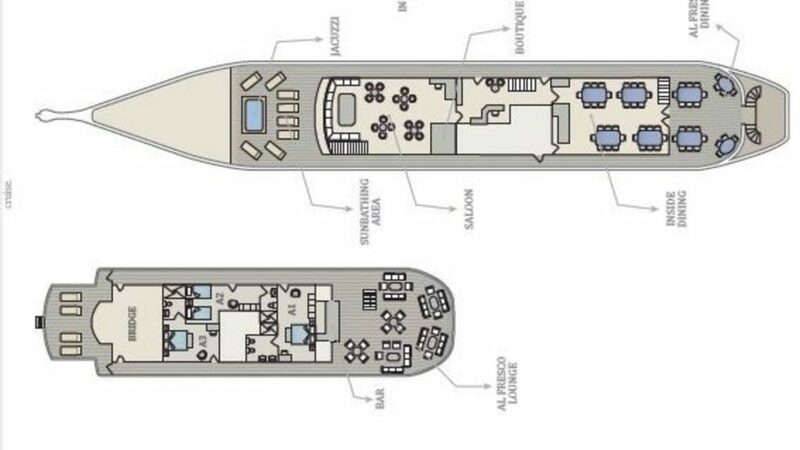 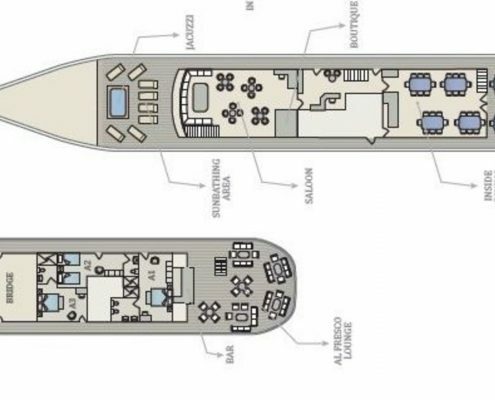 A panoramic sky lounge, bar, separate dining room, relaxing Jacuzzi and generous areas for sunning and dining cooled by the sea breeze, are just some of the guest amenities aboard. 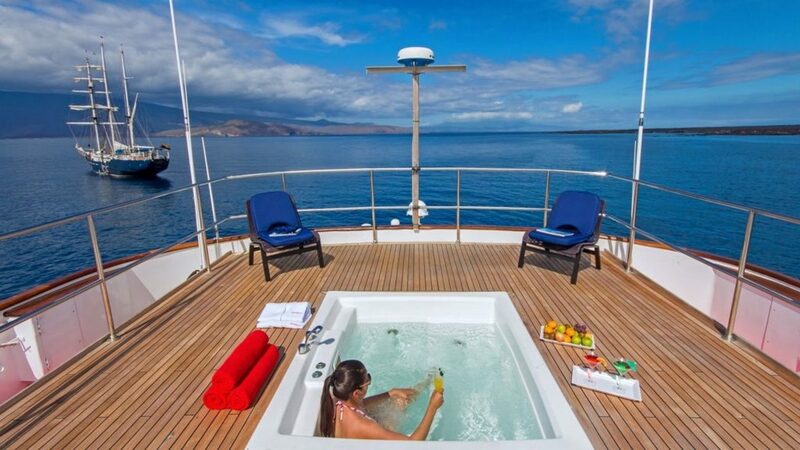 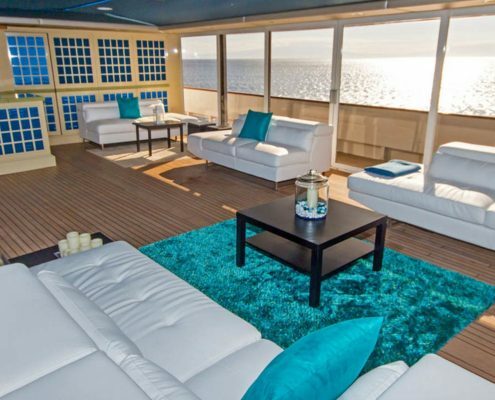 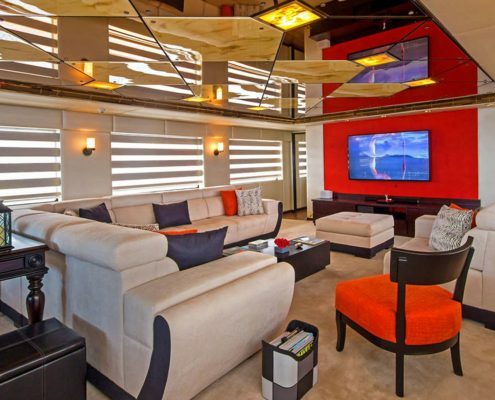 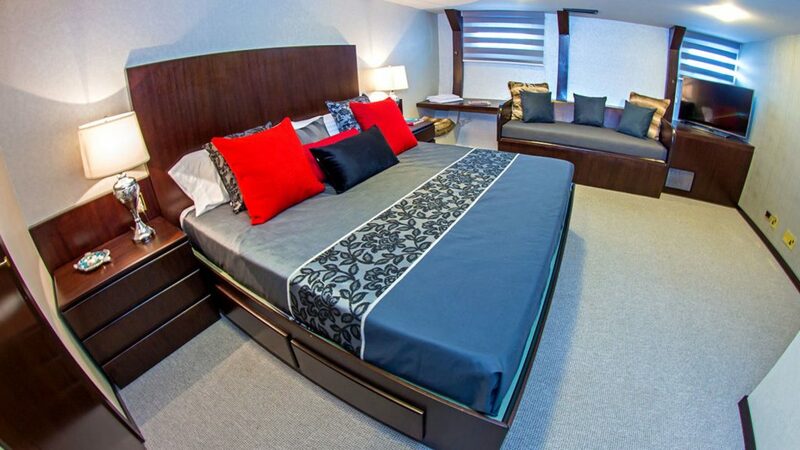 M/Y also has six guest cabins, one of which is a Master stateroom and one a VIP. 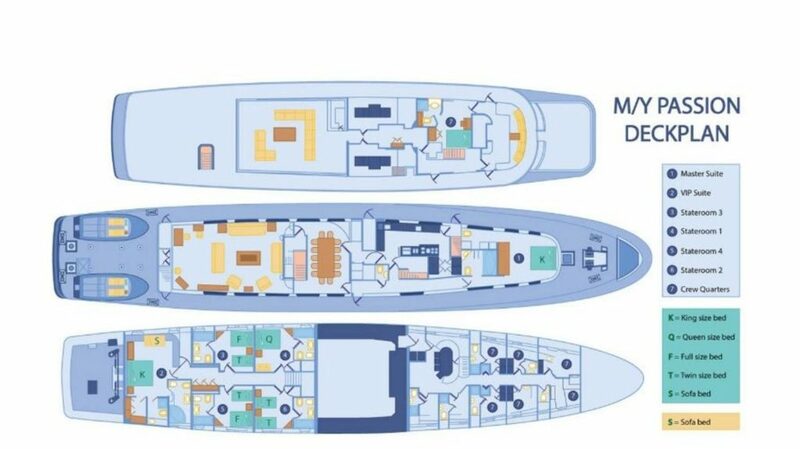 Both of the latter have double bathrooms. 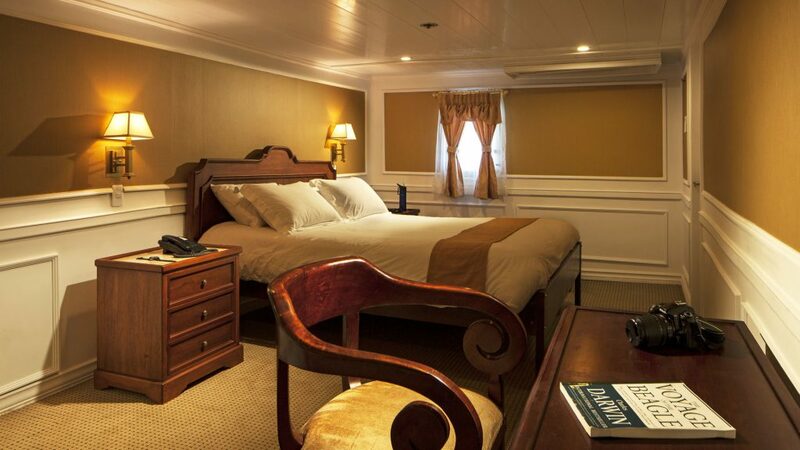 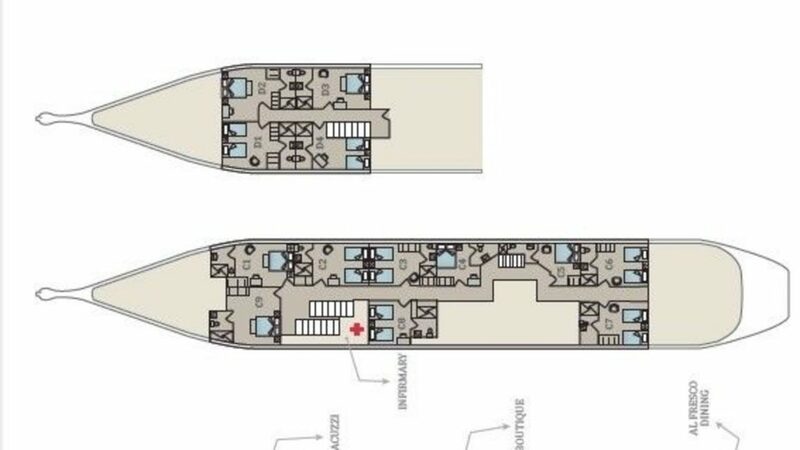 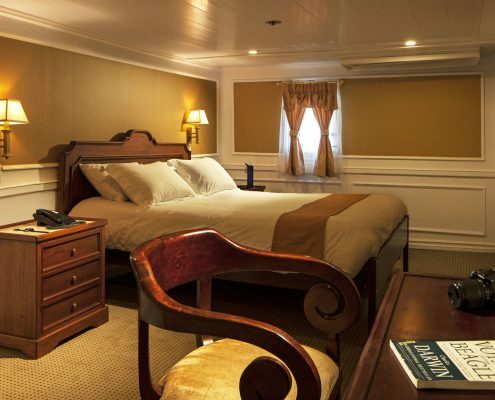 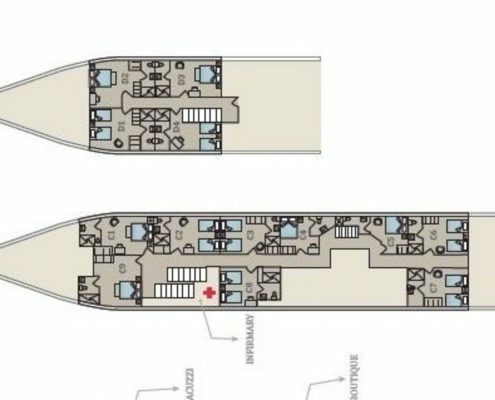 There are also four other double/twin standard staterooms with their own bathrooms complete with tub. 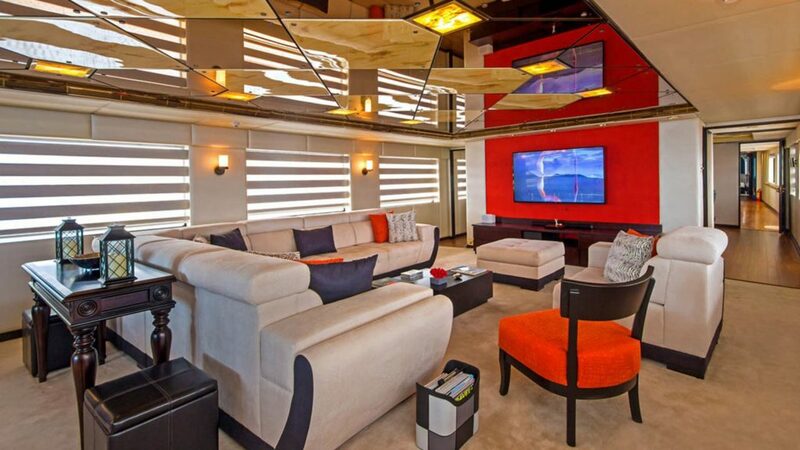 All are air-conditioned. 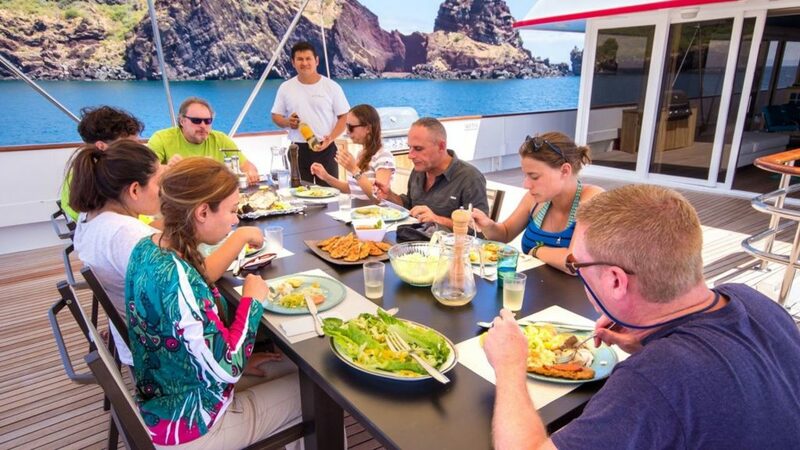 The 12-person crew provides a first-class individual service to the 12 guests, while the onboard chef produces superb gourmet meals.